After a hectic start, Linc and Jimmy showed they were in a class of their own by controlling the second half of the race, before Linc pulled clear in the closing stages to finish the approximately-10km loop in 52 minutes flat. Lincoln has gone from strength to strength over the years and now shares the top 1% with the big guns, a fact highlighted at Doheny last year when he battled right to the line with Connor Baxter on the biggest stage of the season; if this weekend’s form is any indicator, we can expect plenty more podium results from the DEEP/Quickblade team rider. Jimmy was less than a minute behind and will take a lot of confidence from the result–not least because it was on his non-preferred flat water (as the Sunova team rider mentioned on Instagram, this is probably his first and last flat race of the year). It was a great result from Peruvian young gun Itzel Delgado, who rounded out the podium for Team Infinity after outlasting dark horse Ty Judson and veteran Kelly Margetts. 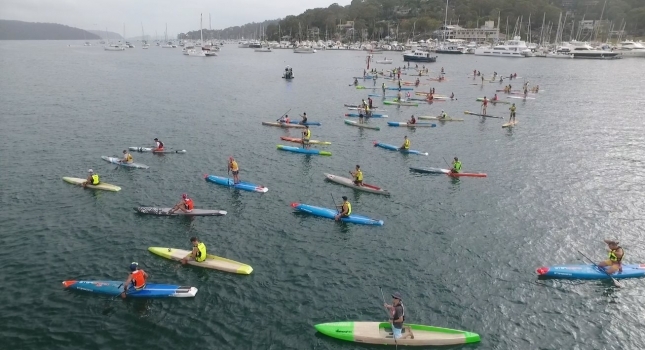 In a sign of how classy the field was, Kenny Kaneko and Paul Jackson were both squeezed outside the top five in this Paddle League-affiliated regional event. Itzel backed up his long course performance by snatching victory in the “Dash For Cash” sprints, showing that his pre-season training sessions in Australia have been well worthwhile. In the women’s it was all Angie Jackson, with the Queenslander blitzing the field to complete the course in an even hour and give Team ONE a winning start to the season. Ang was so dominant she even snuck into the top 20 on the men’s results sheet, and it continues her winning summer after finishing last season with a big result at the King of the Cut. The next event, the 12 Towers, will be in Angie’s home town up on the Gold Coast where she’ll once again start hot favourite. Emma Davies and Vanessa Smith rounded out the women’s long course podium, while 100 paddlers hit the water between the 3k, 6k and 10k races in what was a solid start to the Aussie summer of SUP. The Sydney event is the unofficial start of the Aussie summer season, with a couple of big races up in Queensland next month that’ll showcase Australia’s finest alongside quite a few of the internationals. There’s also a growing focus on junior racing in Oz, which is great to see as it’s kind of critical for the whole future of the sport. Kelly Margetts was marshaling the super groms in Sydney on the weekend, and from all reports it was a highlight of the event. 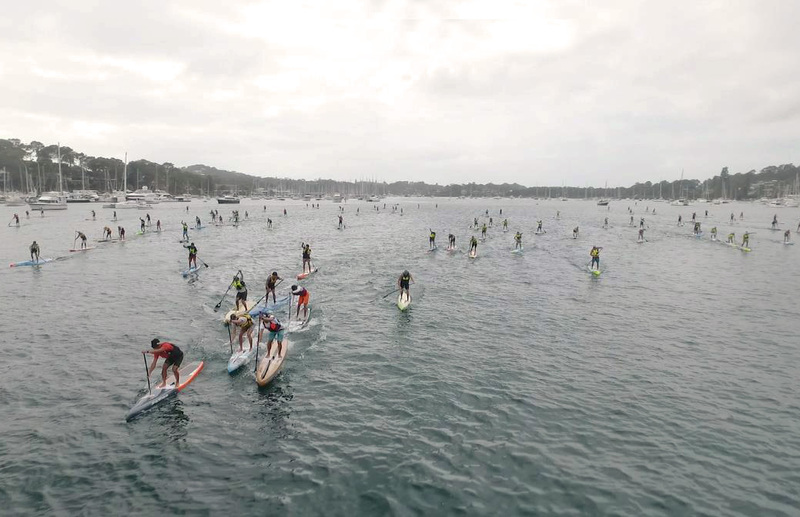 As the evolution of the world rankings continues, the Sydney SUP Festival will be one of the regional events in the expanded Paddle League universe, with the already-announced world tour races being complimented by dozens of “Regionals” around the world to help unify and support the sport from the grassroots level. You’ll hear a lot more about all this in the coming weeks, with next month’s classic 12 Towers race on the Gold Coast set to be a 4-star Paddle League points race. But back to Sydney: Top finishers below, full results over on webscorer, and more coverage on the event’s official Facebook page. Big thanks to the organisers and everyone who helped support the event.